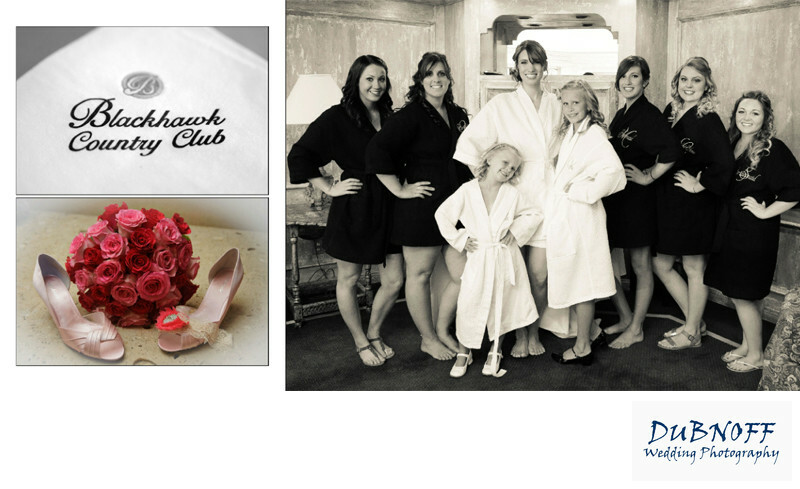 Another thing we love about Blackhawk for wedding photography is the bridal suite. This is where the bride and her helpers get ready for the wedding. It is a very elegant room and has lots of space and pretty good lighting. This makes it ideal for wedding photography. In fact, it is one of the best bridal suites we have photographed in the Danville area. We took this particular photo and displayed in Sepia tone. All the girls wearing robes was a great idea.